South Korea’s leading lithium-ion battery maker LG Chem said Wednesday it would invest a total of 239.4 billion won ($224 million) to set up joint ventures with China’s Huayou Cobalt by 2020 in order to secure a stable supply of core materials for batteries. Zhejiang province-based Huayou Cobalt is the world’s biggest cobalt producer. It produced 20,000 tons of cobalt in 2017 alone. The two will establish two joint ventures -- one for precursors and the other for cathodes. Precursors made of cobalt, manganese and nickel are needed for manufacturing cathodes. When precursors are combined with lithium, they become cathodes. The joint venture for precursors will be built in Quzhou, in which LG will invest 83.3 billion won for a 49 percent stake. For cathodes, the collaboration will take place in Wuxi in Jiangsu province, where the Korean firm will invest 156.1 billion won for a 51 percent stake. The joint ventures will start producing precursors and cathodes from 2020 with an estimated annual capacity of 40,000 tons for about 400,000 electric vehicles that can drive up to 320 kilometers when fully charged. The capacity will be increased up to 100,000 tons in accordance with future demand, the company said. “The latest partnership will ensure LG a stabilized supply chain of cobalt and other key materials for batteries,” the company said in a press release. The contract appears crucial for the battery maker, which has been facing rising concerns about increasing cobalt prices. It is part of the company’s efforts to strengthen the supply chain after acquiring cathode producer GS EM in 2016 and a 10 percent stake in nickel sulfate provider Chemco in 2017. “By partnering with Huayou, LG will be supplied with the materials ahead of others,” the company’s statement said. The precursors and cathodes produced in China will be used at LG Chem’s battery plants in Nanjing, China, and Wroclaw, Poland, for commercialization. 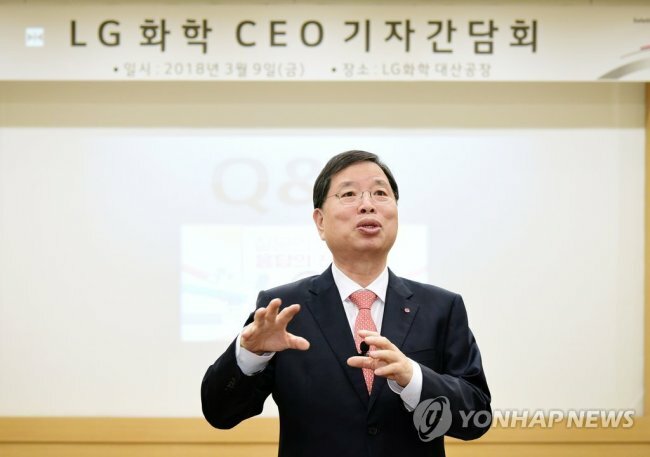 “LG Chem will establish a strong vertical supply chain to provide high quality batteries for customers,” said Park Jin-soo, vice chairman and CEO of LG Chem.